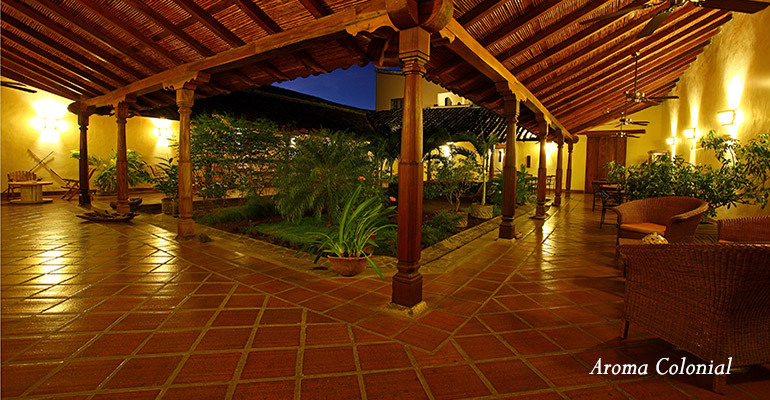 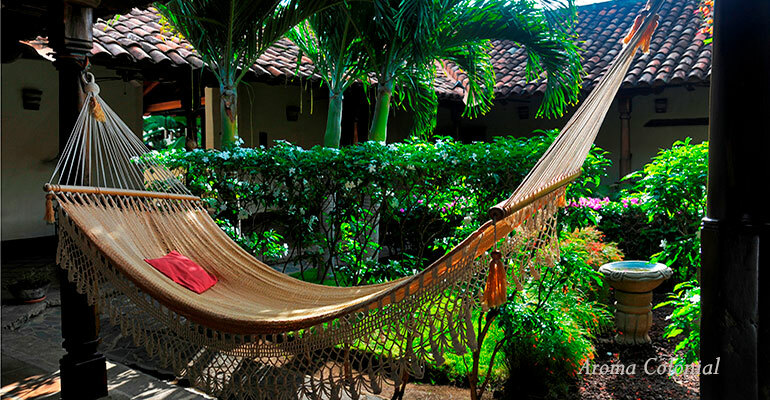 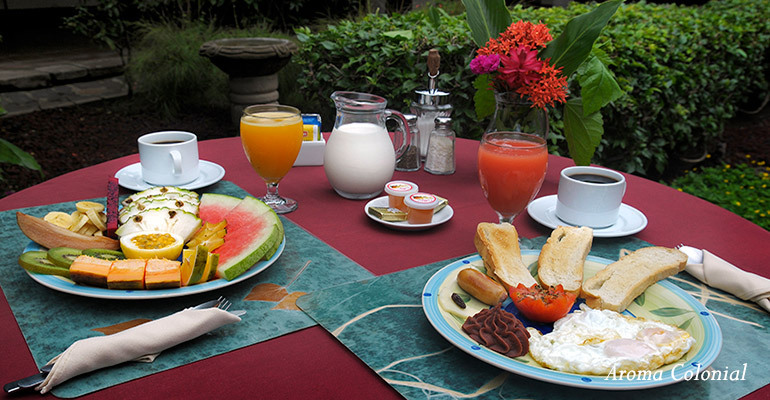 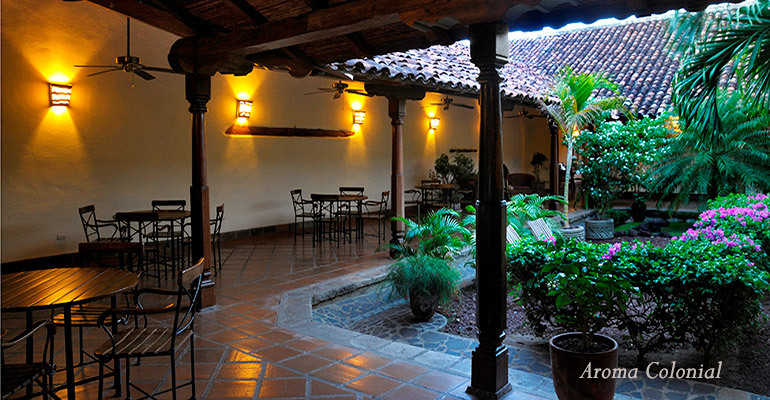 The colonial town of Granada is 47 Km from Managua and 45 minutes from the international Airport. 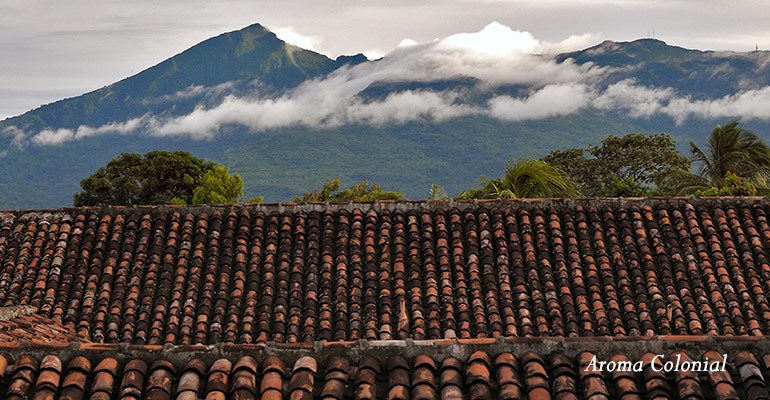 El Patio del Malinche is located on “el Caimito”, a street is in the centre of this historical town thant links the central park with the lake Cocibolca. 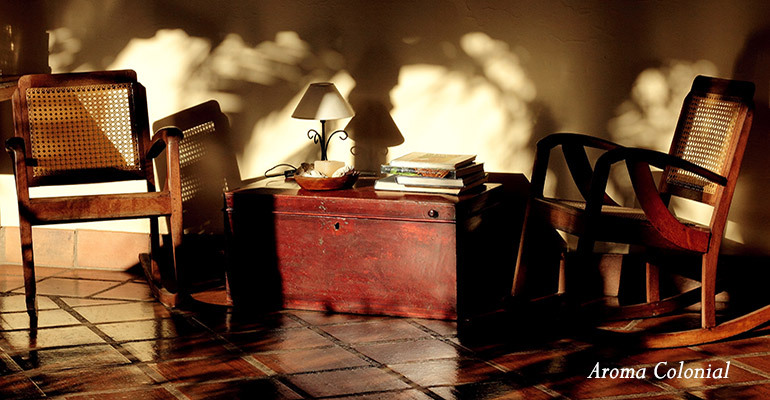 From here, you will be able to visit the most interesting parts of town, stroll down the streets with their sun-dried brick houses and relive scenes from the past by observing the locals just sitting in their rocking chairs watching life go by. 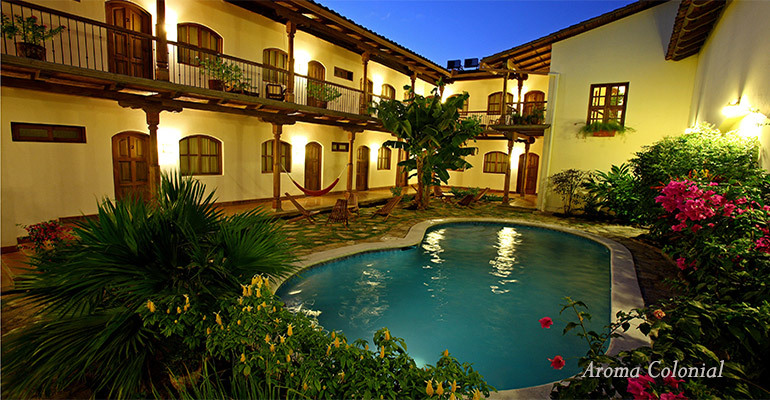 El Patio del Malinche has a first patio that contains a garden surrounded by four corridors and a second patio features a swimming pool surrounded by 16 guest rooms, a recent addition to the hotel includes a third patio area and four new superior rooms, combining the confort and beaty of old traditional Granada houses. 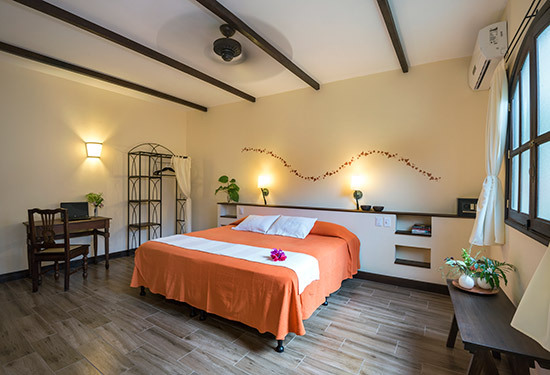 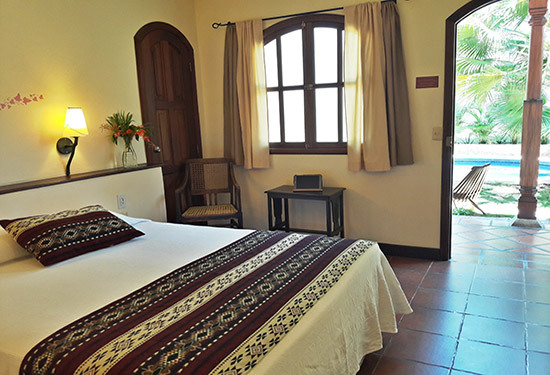 By restoring the house to its original architecture, we have create a space that is attractive, comfortable and spacious, where the visitor will enjoy a different style of holiday.